Auto Fresh Candy is an autoflowering indica dominant Marijuana strain that retains almost all features from its big sister like the caramel flavor, adaptability and speed. 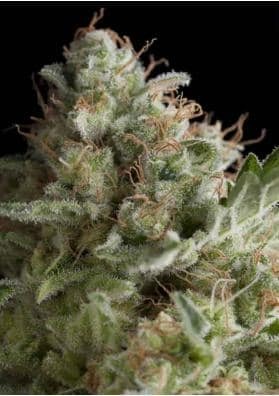 Auto Fresh Candy is an autoflowering indica dominant Marijuana strain from Pyramid Seeds, being the fast version of Fresh Candy and a Sweet Tooth worked since 2001. This strain is highly branched, easy to grow and highly adaptable. Auto Fresh Candy retains almost all features of the original plant. It produces good plants with large branches covered with buds that produce 600 grams per square meter under optimal growing conditions. It is small, fast and easy to grow, thus being suitable for beginner growers. It adapts to almost any kind of substrate. Auto Fresh Candy can reach 120cm high. Auto Fresh Candy is ready in just 60 days from seed germination and can be grown from spring to autumn. Nonetheless, you will get better outcomes when the time of heat stroke is higher.